Mikael Bergquist. Photography: Mikael Olsson. About 64 pages, 47 color and 15 sw illustrations, 9 plans. Between 1924 and 1936, the Austrian architect Josef Frank (1885-1967) built five summer houses in Falsterbo, in the extreme south of Sweden. The clients were relatives and friends of his Swedish wife. Today, the southern Swedish houses are among the most significant buildings in Frank's work. The Villa Carlsten is the smallest building in the group, but just like the others it was designed in a careful relationship between indoor and outdoor space. Frank paid attention to the movement through the house as well as the way the daylight came in. Despite its modest scale, the house is surprisingly complex and varied - everything looks a bit smaller than usual. Josef Frank's Villa Carlsten unites modern living culture and refined everyday architecture. The book is the first comprehensive documentation of the Villa Carlsten. New recordings by Mikael Olsson show the house in its unique relationship to the environment. 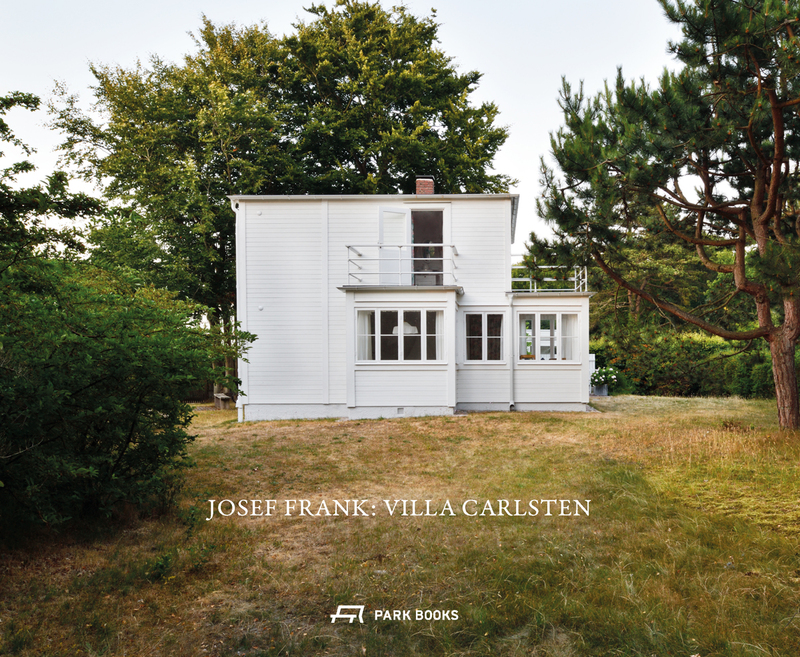 An essay by architect Mikael Bergquist places the villa in Frank's complete works.